Gary Clarke reflects on his choreographic approach to making The Troth. 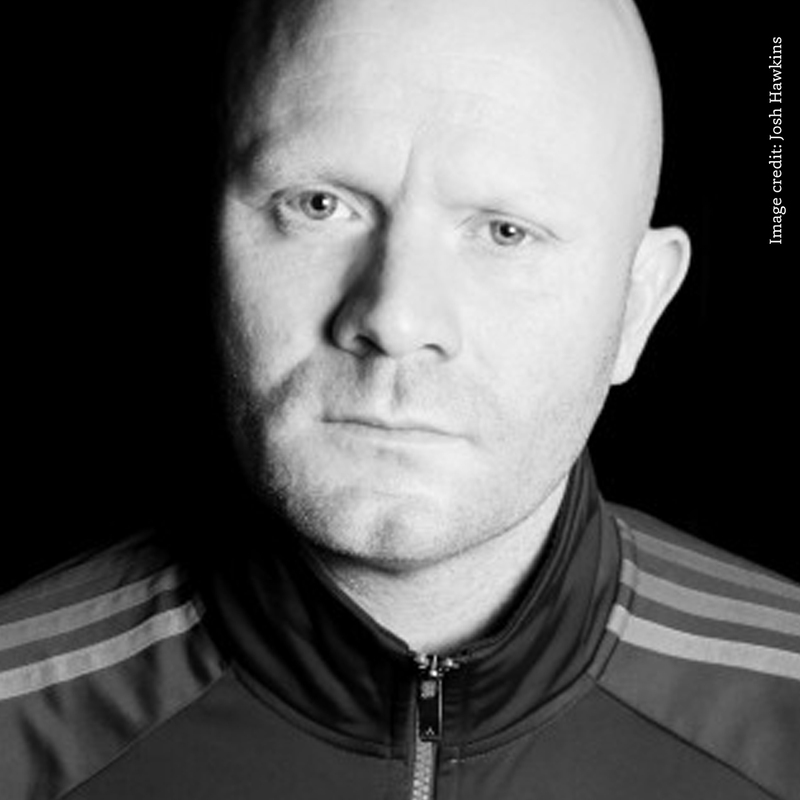 Winner of a UK Theatre Award, a Critics Circle National Dance Award and The Brian Glover Memorial Award, Gary Clarke is currently regarded as one of the UK’s leading independent dance makers. His work to date has toured extensively both nationally and internationally to critical and audience acclaim. Clarke describes his work as ‘a string of movements’: as a structured process he takes the company through to generate material. By looking at historical figures, what they are doing, working out who they were, Clarke compiles a list of actions, supporting the dancers to respond and physicalise a series of actions and words. Clarke then works with each individual, to build or edit their motifs. They ‘glue’ these motifs together, weaving them into a joined- up phrase, never deviating too far from the source stimuli, working collaboratively, offering and responding over and over, in a repeating creative dialogue in the rehearsal studio. Then this is re-tuned, adapted, modified. The string becomes the choreographic anchor. This is often further dissected and manipulated through many forms. …. 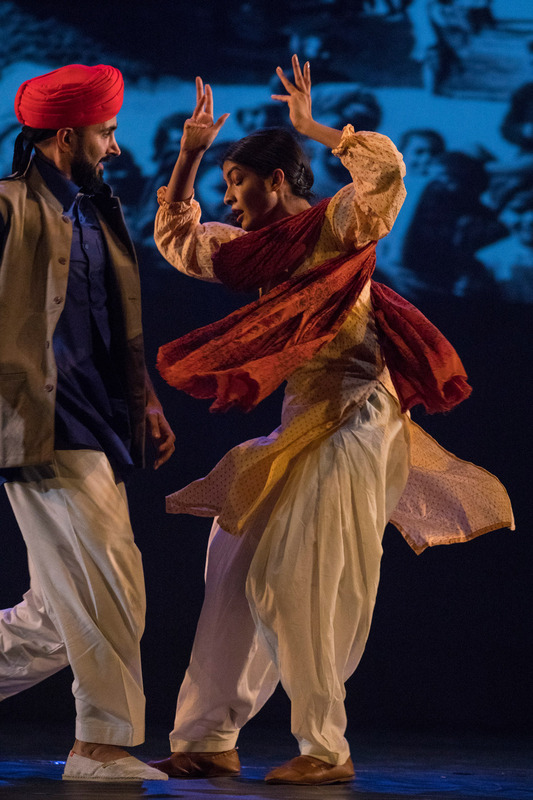 is beautiful and truthful story-telling, with high energy, aerial-bound athleticism counterpointed with a yearning softness and longing: along with passion and authenticity in the magnified movement and the attention to detail, recalling the spirit of the Punjabi’s people. The male bonds created in wartime are especially sensitively presented with such warmth. How do you gather external advice and insights when you choreograph? Gary Clarke works with an accomplished dramaturg Lou Cope on the creative journey. He takes advice on the language of dance communication, structure of the story, getting input on editing and honing what is not necessary. Other critical friends are TC Howard, Eleanor Perry and the dancer Daniel Hay Gordon who are trusted collaborators, a team of artists that understand his work- people he trusts to help him clarify the composition through their collective artistic eyes. How did you work to ensure dance movements were made film-like? Again, by not straying too far from the narrative, looking back into the story, translating actions into a fluid line. The cast work with natural gesture to give a film-like human quality. 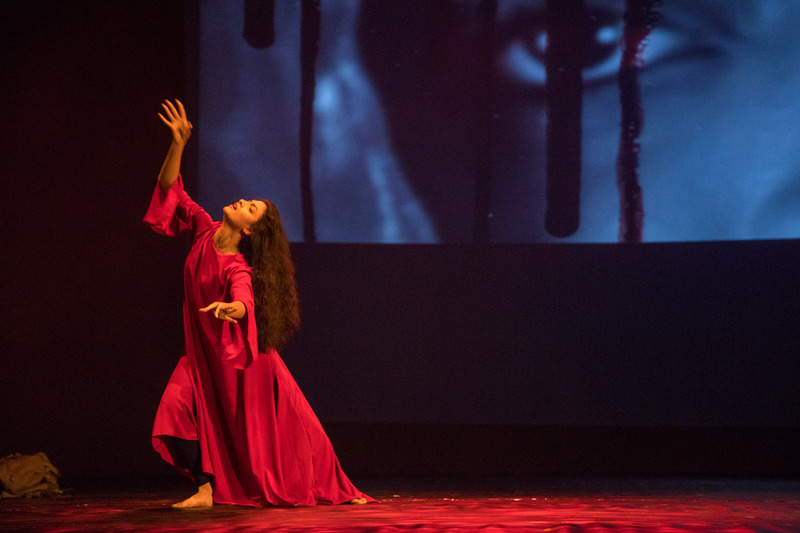 Clarke wants the audience to feel and experience a truthful body language as the dancers move through the space, that is driven by human movement, not by dance choreography. He is very skilled in understanding what the character needs to say, starting with a pure human action but then abstracting, pushing, changing it – getting the audience to find visual ‘hooks’ that are recognisable, maybe larger than life, playing with space, size and scale, a balance to and fro, between what is actual and what is abstract. Was it a considerable challenge to make the page come alive from literature into dance? Mira Kaushik, Akademi’s Director, put Clarke in touch with academics, experts and researchers who were able to guide him. These creative consultants would evaluate the accuracy needed and identify the ‘dos and don’ts’ even simple things like differentiating Eastern and western gestures such as the appropriateness of the simple act of touch in both male and female customs of the time. Clarke considers that this added to the care of the palette, the right feel of the visual information and the true culture of the era and place. The work is clearly modernised, but still located in Punjab of the early 20th century and gives a sense of time. The language has a new twist: Clarke is not dealing with Indian dance genres – his is a contemporary piece of physical dance theatre. How did Clarke collaborate with the composer Shri Sriram? The collaboration allowed for the disciplines of music and dance to share a blank canvas. Clarke was given the story, time, location and re-set this in his own terms, and he and Shri mused about energy, pace and tone of the soundscape. Gary and Shri used the offer, create, respond, refine, model. Versions of soundtracks were introduced into the intense studio rehearsal and creation period, bringing shifting iterations of the music compositions. Details in the music became more clarified and detailed for Clarke, perfectly encapsulating the dark and tense moods about war, the romance, the longing and love – even the location and temperatures were conveyed in the soundscape, painting the picture for each scene. Clarke and Shri worked by constantly adding depth to this work, a process of accepting, adding, never taking away the sound information but building intricate layers of melody, evocative instrumentation and clear rhythmic shapes to frame the story. produced by Consultant Education Director Christina Christou.